Last night after going to Christ Fellowship’s 6:00 service Marty, Tony, Karen and I went to our favorite restaurant – Palm Beach Grill. 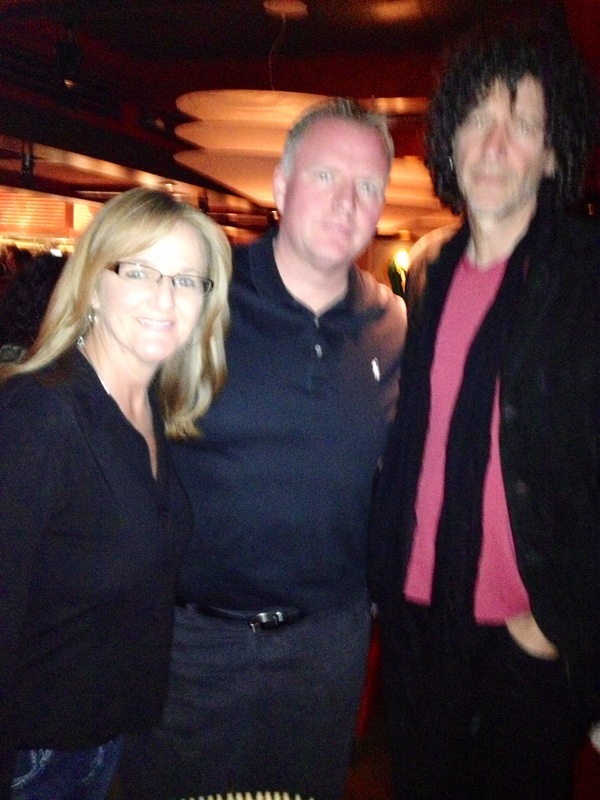 Much to our surprise we were seated at a table right next to the Man Himself – Howard Stern. When I say right next to him I mean maybe two feet and facing each other. For years Tony has been a big fan of Howard so I knew he would want to meet him and get a picture. Tony told me Howard is very private, does not like to shake hands and never takes pictures in public. I thought about just being myself and saying hello – I’m Uncle Larry – well you’ve seen that routine. Instead I said nothing and had their waiter – our friend Matt bring them a round of drinks – which in Howard’s case was a club soda with a splash of cranberry. Somewhat surprisingly Howard turned his chair and said to our table “thank you very much.” I put out my elbow and he smiled and gave me an elbow bump. I said I’m Uncle Larry and I like to think of myself as the Howard Stern of Palm Beach Grill. He laughed and said I hereby make you the President of the Howard Stern Fan Club. When Howard and his wife Beth left Tony stood up and asked if we could take a picture and Howard gladly obliged. I don’t know what you might expect but I was pleasantly surprised at what a pleasant person he is. His wife Beth is a tall, beautiful woman who is in really great shape. As you can see the photo is not very good due to my “familial tremor” which kicks in more as I tire. You can also see Howard is a big dude. Tony is 6′ 3″ and Howard is three to four inches taller than Tony. FYI I had the pan-fried Dover Sole and it is fantastic. All in all it was a better than average night at our favorite place – Palm Beach Grill.